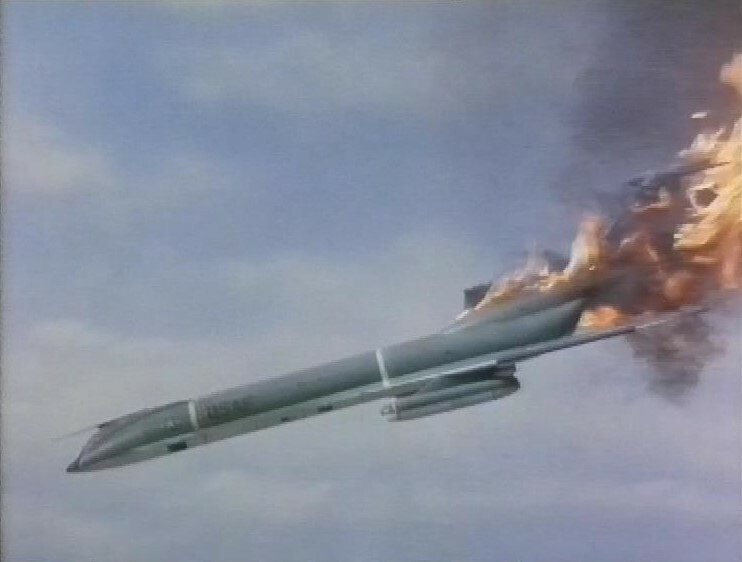 First on this tape, an episode of Thunderbirds called The Cham-Cham. 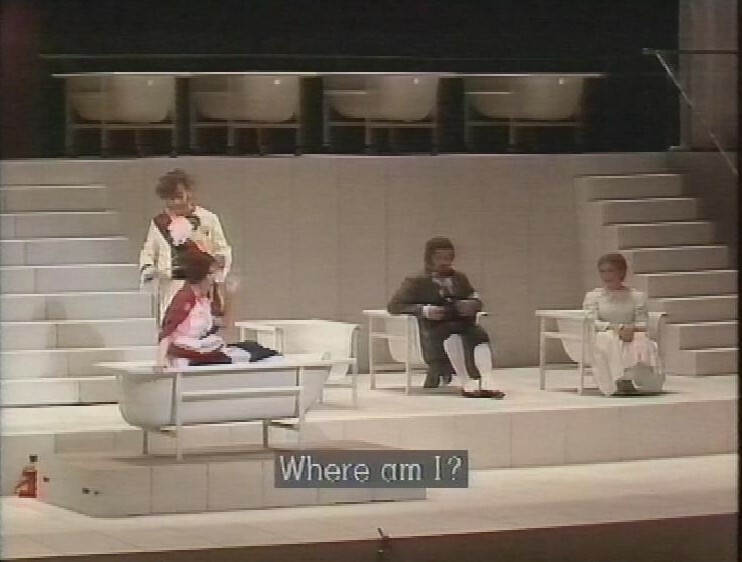 I had this on a previous tape, but there it had missed out the start of the episode. There’s a top secret mission to deliver some top secret cargo to somewhere top secret. They have to maintain radio silence, but they’re also listening to the radio – the same station that the International Rescue team are listening to. Is there only one radio station in the world in this time? 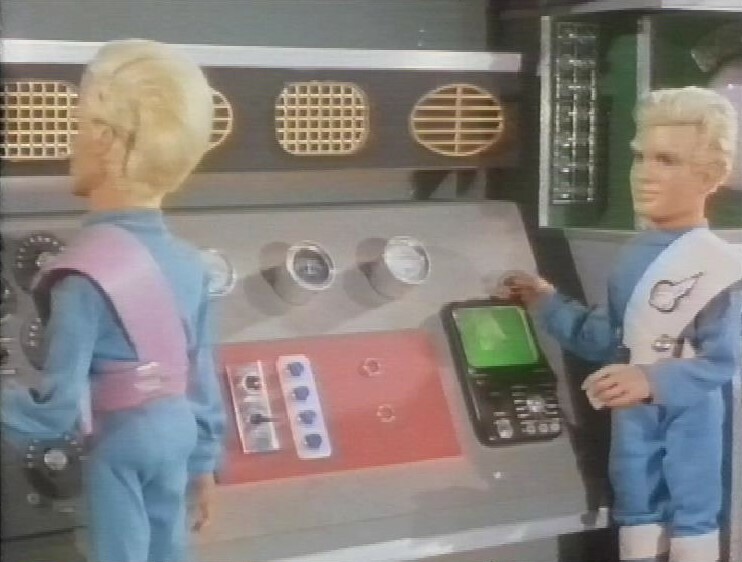 Even John and Alan, on Thunderbird 5 are listening to it. 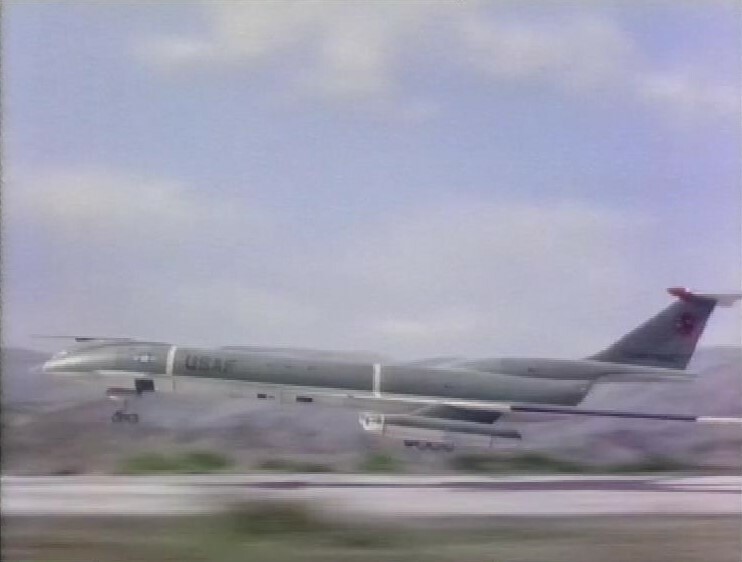 The top secret plane is attacked by an unknown enemy. 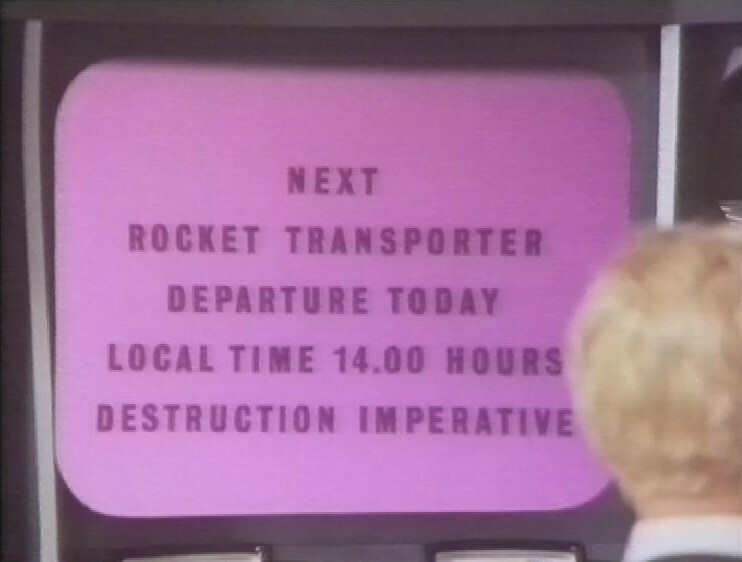 Jeff Tracy thinks that the music they were listening to at the time the plane was attacked had something to do with it, so the Cass Carnaby Five, who were performing live each time the planes were attacked, must be involved. 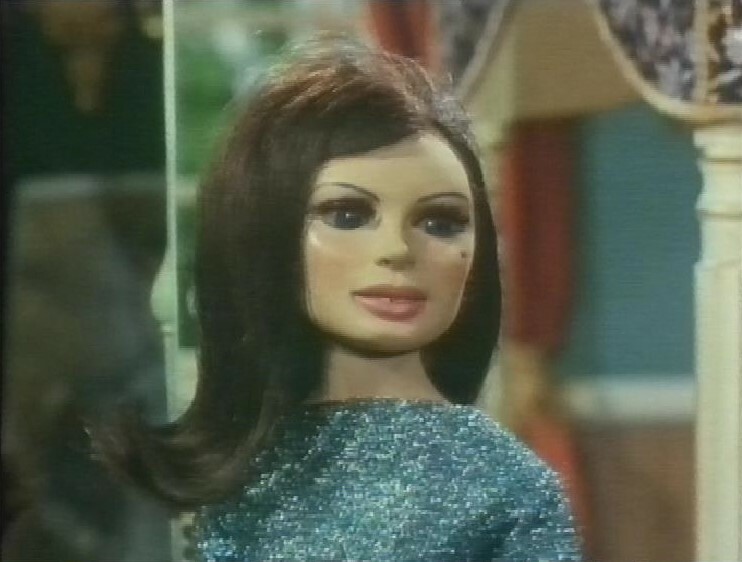 Lady Penelope goes undercover as the cabaret singer Wanda Lamour. The band’s musical director is receiving orders from a foreign power. 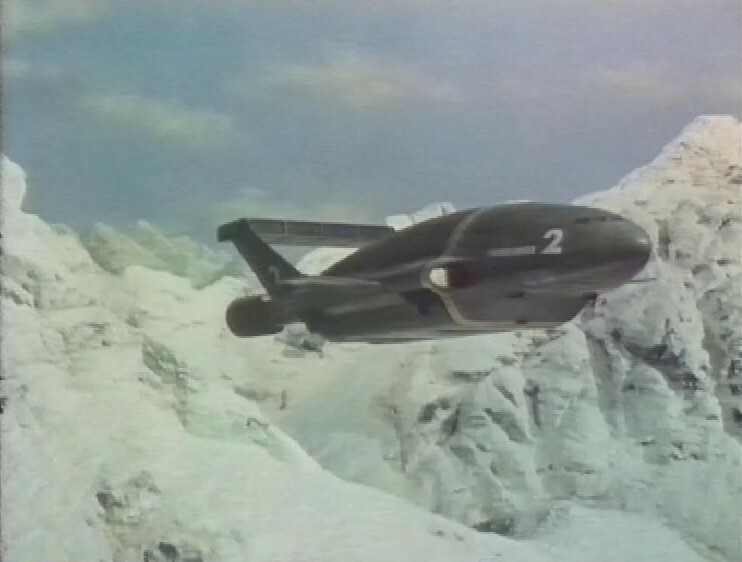 There’s some nice Thunderbird 2 mountain action as they try to rescue Tin Tin and Penelope in a runaway cable car. 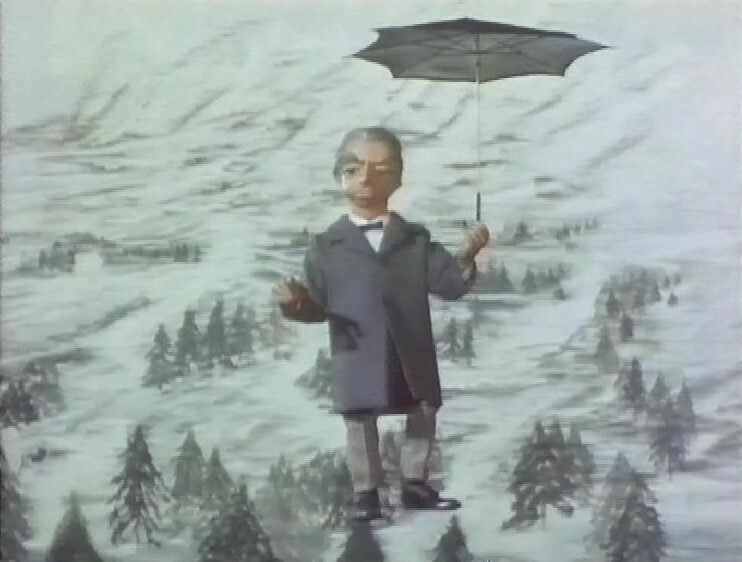 Parker gets to do a Mary Poppins impression. After this, there’s a trailer for Goggle Eyes. 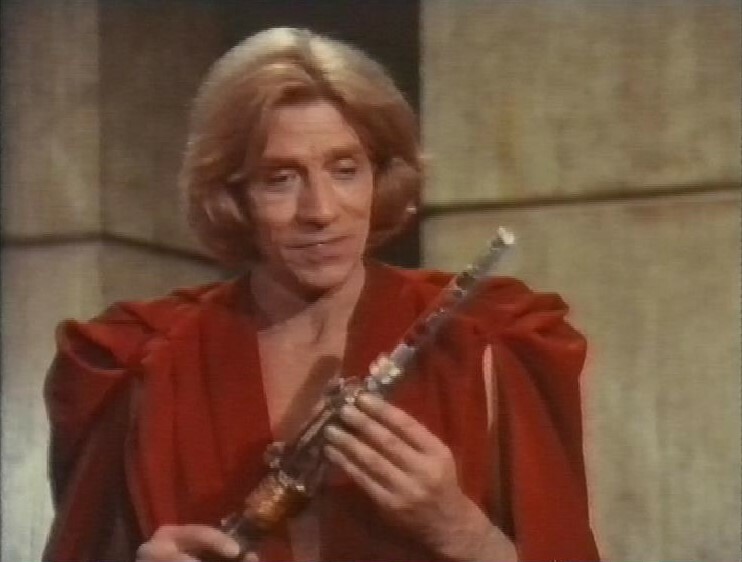 Then, Genesis II, a Gene Roddenberry production. He tried this idea twice, with Planet Earth as well. Scientist Dylan Hunt (Ted Kord) is frozen with an experimental suspended animation procedure, but almost as soon as he is, the lab he’s in is buried in an Earthquake. When he’s revived, a round 150 years in the future, he’s in the hands of Pax, the world ‘government’. But his nurse, Lyra-a tells him she’s a mutant. This manifests as having two belly buttons and (she says) two hearts. She tells him Pax is warlike, dominating the world. 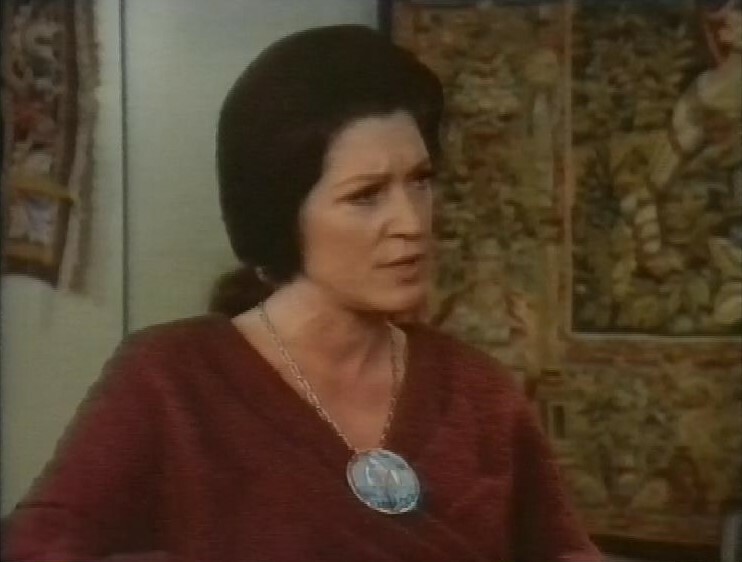 Majel Roddenberry makes an appearance, as you might expect. They escape from Pax, and go to her city, but it all looks a bit slavey there. Perhaps Pax aren’t the evil warlords she’s been saying. 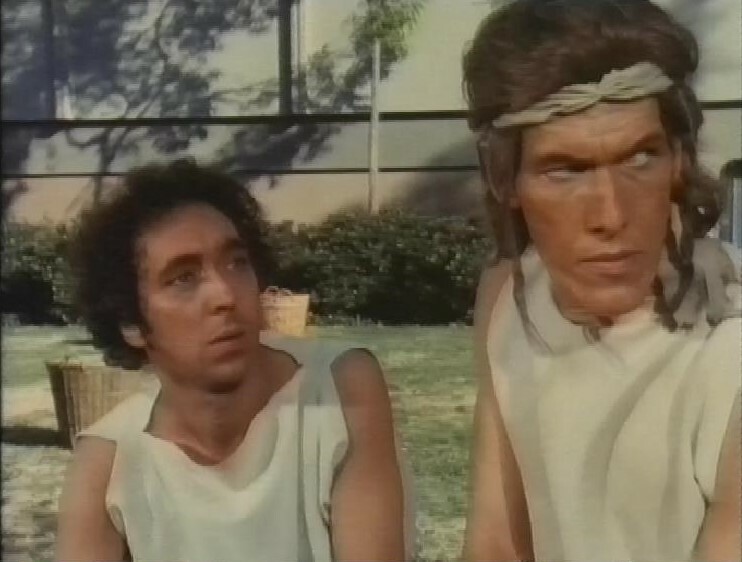 On the right there is Ted Cassidy, famous to Star Trek fans as the android Rok in What Are Little Girls Made Of. In the end, it’s Pax that are the peaceful ones, not the mutants, so Hunt blows up a nuclear warhead, and, as long as he renounces killing, he joins Pax. 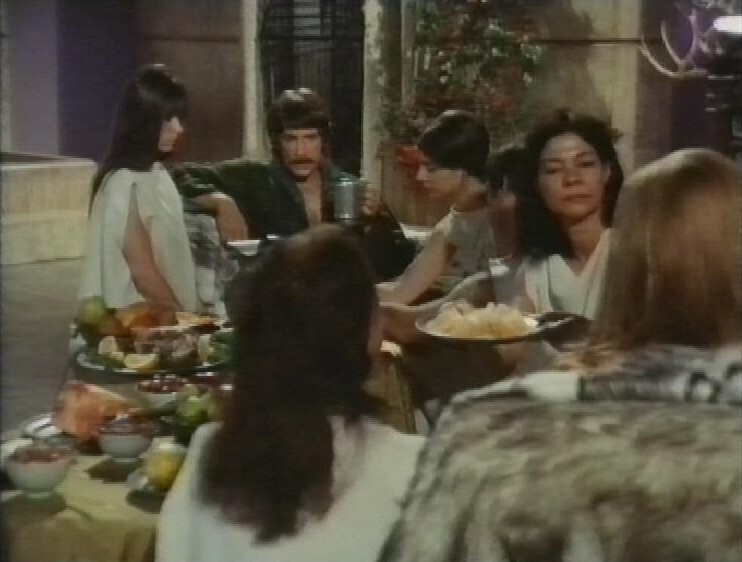 But he remains a bit of a creep – it must be the moustache. There’s a trailer for Count Dracula. Then, Around Westminster with Laurie Mayer. 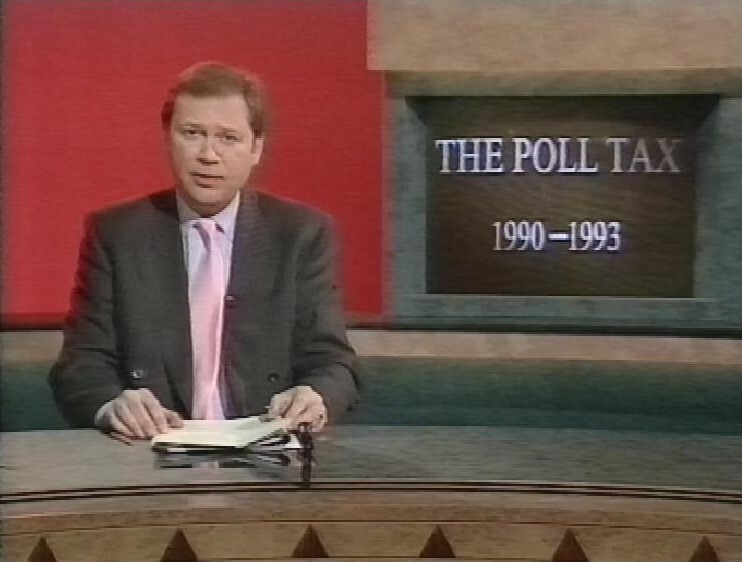 There’s a report on the death of the Poll Tax. After this, there’s a trailer for Every Picture Tells a Story, and for Painted Passions.